Yesterday, we shared the latest news about the upcoming seventh part of the legendary space saga. And today, we’d like to present some fresh rumors about another probable project in the popular franchise. About a year ago, the information concerning Lucasfilm studio and its plans to create the Star Wars spin-off movie appeared online. As it was reported then, this project had to be transformed into another series and must had included three parts. Gareth Edwards (Godzilla) and Josh Trank (Chronicle, Fantastic Four) were appointed as the directors of the two motion pictures. But whose story will the future creation tell us? The answer to this question was and still is the main project’s intrigue. The guesses were very different - from Han Solo and Boba Fett to Master Yoda and the whole X-Wings squad. And recently, another piece of interesting, but not confirmed yet information has appeared on one of the portals. According to it, Obi-Wan Kenobi will be the protagonist of the new Star Wars spin-off movie. An anonymous source, which is very close to the Lucasfilm team, has said that for the current moment the work on the concept of the forthcoming motion picture is at full speed: “I’ve heard from quite a few people now that an Obi-Wan Kenobi movie is in the works. For the spinoff movies they were initially going to stay away from any Jedi or Sith characters. But I’m hearing now that because of the popularity of Obi-Wan (fans recently voting for him on the official website, etc.) that an art team is now working with a writer on concepts for an Obi-Wan movie”. Do you believe in such rumors? 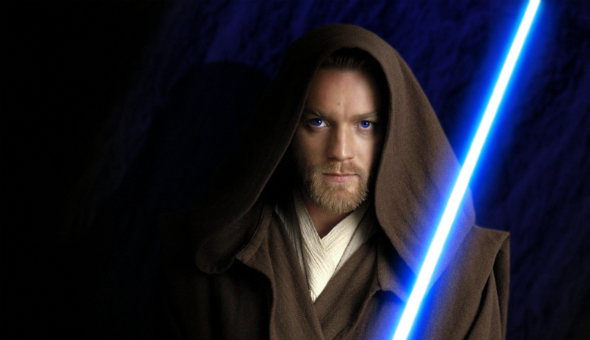 Would you like to watch the new Star Wars spin-off movie about Obi-Wan Kenobi?